Open Netscape 7.2. In the bottom left corner, click the 'Mail & Newsgroups' icon (the one that looks like a letter). 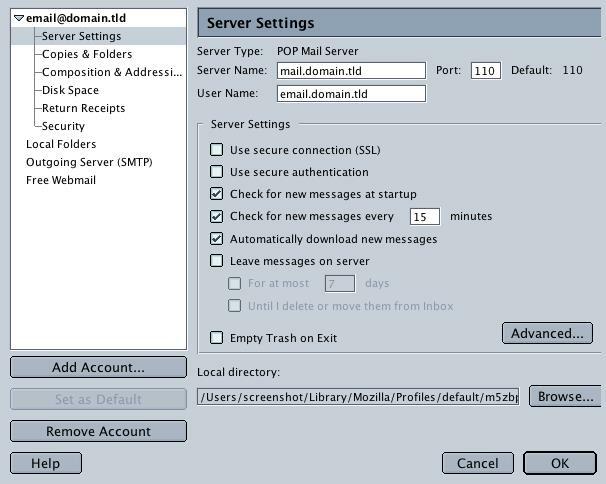 This will open up Netscape's Mail & Newsgroups application. Click on the 'Edit' menu and then click 'Mail & Newsgroups Account Settings...'. 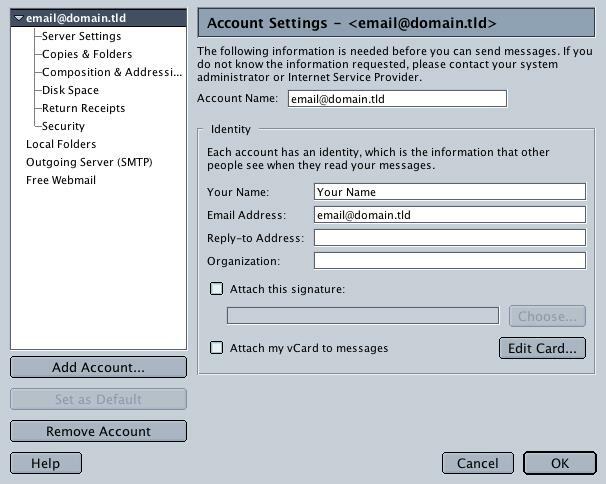 This will bring up the 'Account Settings' with your email account selected in the left hand list. Please note: The 'Reply-to Address' is not needed because if it is not specified, the reply will go to the 'EMail Address' listed. Click on the 'Server Settings' sub-category on the left. This will show all of your server settings. 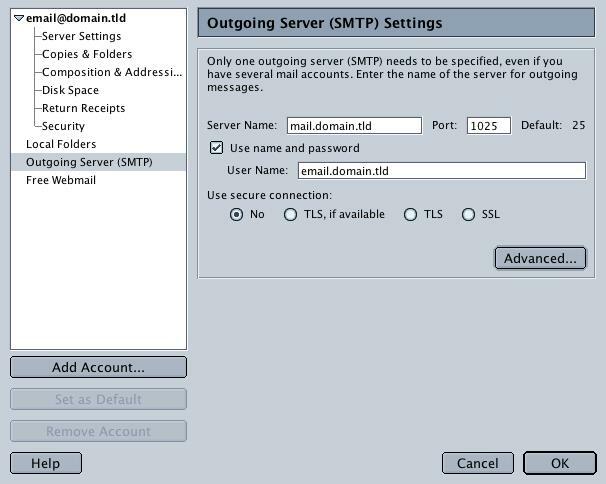 Once your settings look like the settings shown in this screenshot, click on the 'Outgoing Server (SMTP)' sub-category on the left. Put the dot in 'No'. 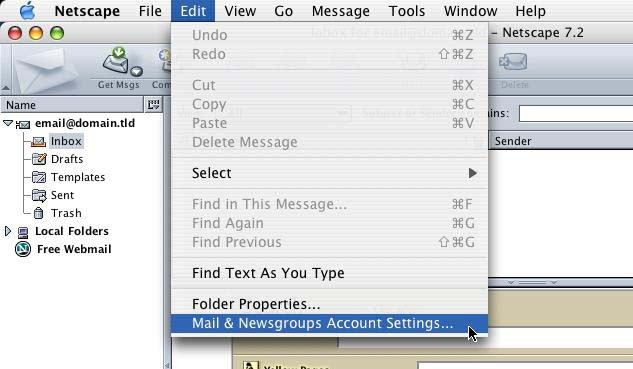 Click 'OK' to return to the Mail & Newsgroups application and now you should be able to send and receive email.